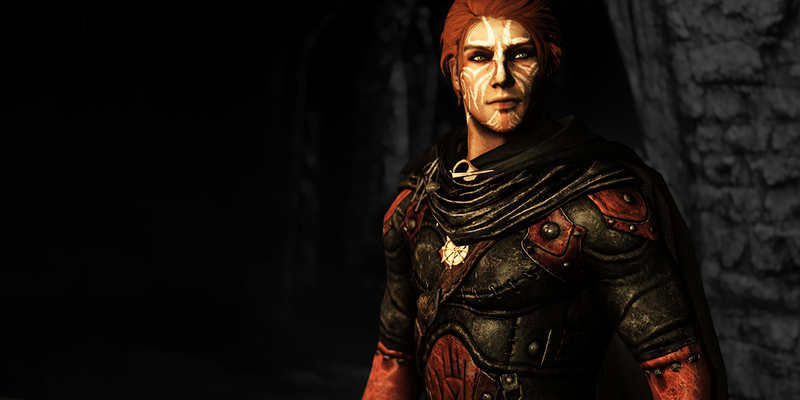 The markings on Yvynn's face are Forsworn, but he never really knew his family. He was adopted as a child, raised by a patron of the Dark Brotherhood and groomed into the perfect assassin. Smaller than your average nord, he was perfectly suited to delicate work even as an adult. He was one of several Brotherhood agents attempting to steer Hammerfell's resistance against the Dominion, a conflict which ultimately ended in the destruction of the Hammerfell Brotherhood. For the most part, however, the Brotherhood kept Yvynn on a short leash. His skills were undeniable, his sense of morality skewed, and his loyalty to the Brotherhood was beyond question. But whereas most members of the Brotherhood viewed the outside world with a measure of contempt, Yvynn had been so successfully sheltered from it that even the mundane was enough to pique his curiosity. His capture by the Imperials was a rare moment of error, although thankfully he managed to convince the Legion soldiers that he was with the Stormcloak rebels. Having narrowly escaped execution in Helgen, Yvynn ended traveling to Windhelm with the rest of the survivors. His time amongst the Stormcloaks introduced Yvynn to a life outside the Dark Brotherhood, and his newfound dovahkiin abilities have made him the darling of the nords and their home-grown resistance. None of them think to question why a Breton with no apparent ties to the Stormcloaks would be caught on the wrong side of an Imperial ambush. Cheerful and outgoing, Yvynn comes across as ingenuous, perhaps even naive in his approach; few would suspect him of being one of the Dark Brotherhood's most accomplished assassins. Indeed, Yvynn seems to have reconciled his dual nature fairly well; he sees nothing wrong with his vile upbringing, nor the crimes he commits in the name of "family". It's only through his experiences as dovahkiin that Yvynn begins to express doubts. Whether the Brotherhood will allow such a valuable asset to slip through their fingers, however, remains to be seen. 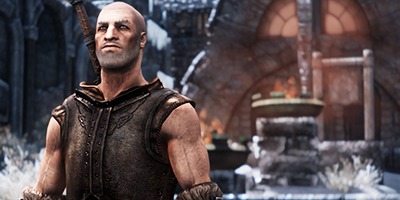 Yvynn's steadfast companion took him under his wing in Windhelm, and he has yet to abandon him since. It's a new kind of friendship for Yvynn, and one he'd do anything to keep. 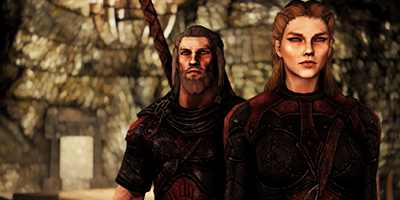 Astrid and Arnbjorn took over Yvynn's training when he was a teenager, and are the closest thing to parents he has. However, they don't always have his best interests in mind. Yvynn came to Windhelm intending to murder its Jarl and break its rebellion. 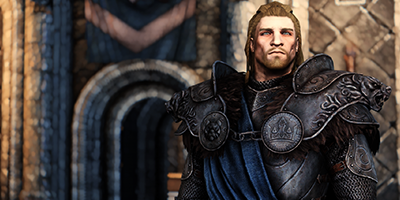 Instead, he's fascinated by the distant figure Ulfric cuts: his powers, his responsibilities, and his regrets.